I love this week's colors! 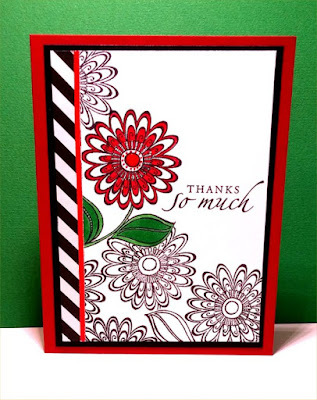 My Favorite Things -Tag you're it Stamps and Die set. The cute little ants are from a stamp by Rubber Stampede. The watermelon slice is a paper piecing I handmade. Check out this picture tutorial if you want to see how I made it. The stamp is called Zenspirations by Impression Obsession. 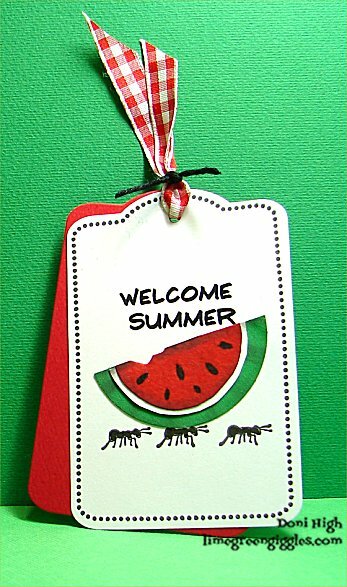 Love the tag you created .... and so appreciate that you shared your tutorial for making the watermelon slice! Thank you! 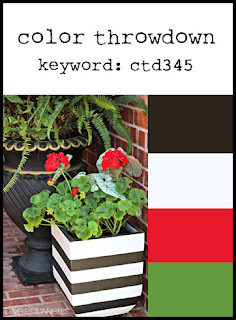 Congrats on being highlighted on the Color Throwdown Challenge. Such a bright sweet tag. Fantastic projects Doni. Love the water melon with the ants... great colors for the image. The flowers are so pretty and I love how you highlighted one of them by coloring the image. Thank you for playing along with us at The Color Throwdown this week. Great designs! 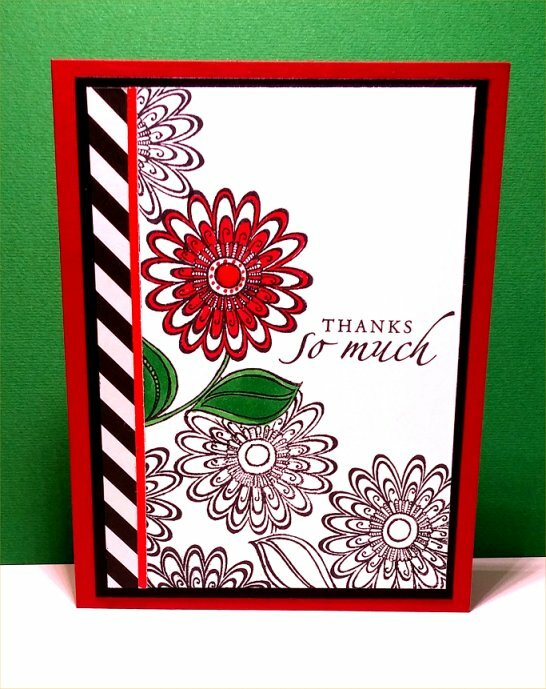 Love how you used the colors for one whimsical design and one elegant one. Thanks for joining us at The Color Throwdown!